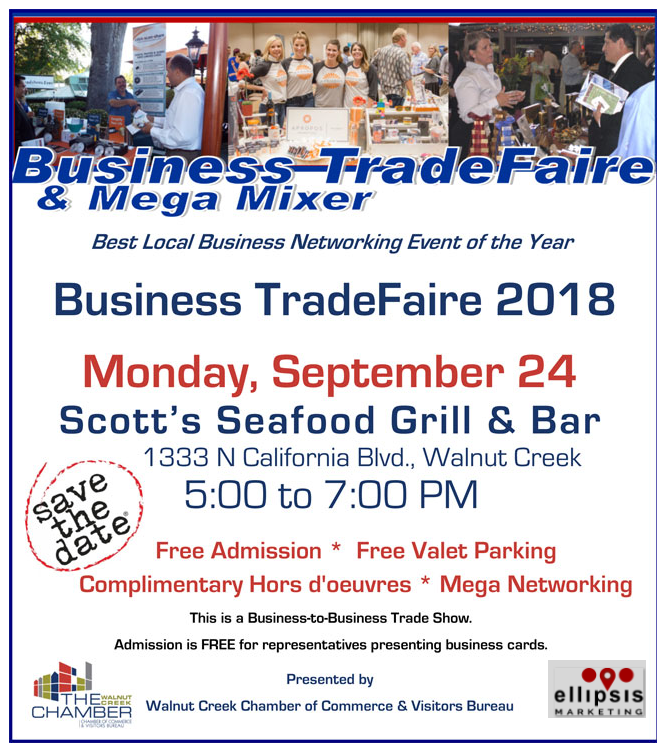 We are excited to invite you to come and meet us at the Walnut Creek Business Trade fair on Monday, 24th September. The event will take place from 5 pm to 7 pm at Scott’s Seafood Bar & Grill, 133 N. California Blvd, in Walnut Creek. This will be an excellent opportunity for business owners to learn more about our unique local marketing programs, specially designed for local businesses in and around Walnut Creek area. We will also be offering some of our flagship marketing programs at discount rates! Plus for a limited time during the TradeFaire, we will be offering some of our most sought after introductory marketing programs for free!